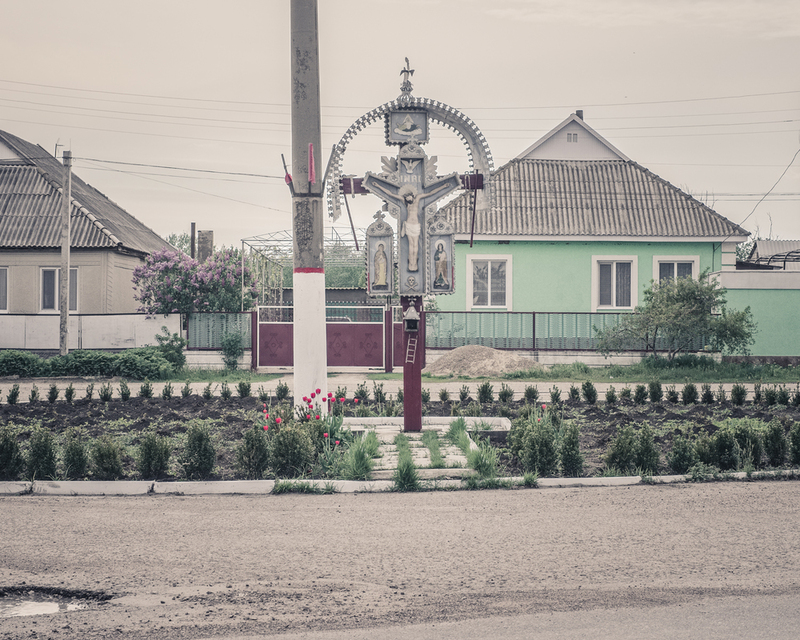 When communism and Christianity go hand in hand on the roadside. 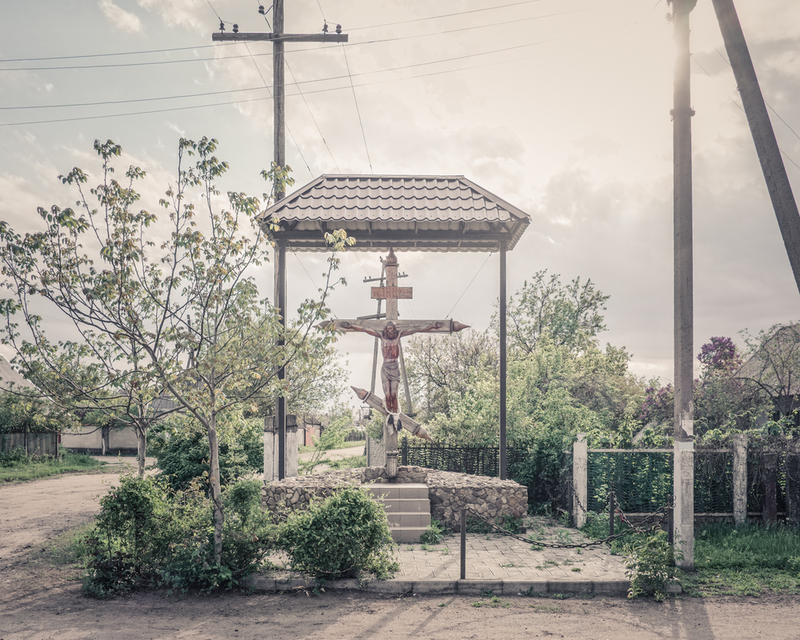 Transnistria is a narrow strip of land wedged between the Dniester River and the Ukrainian border. 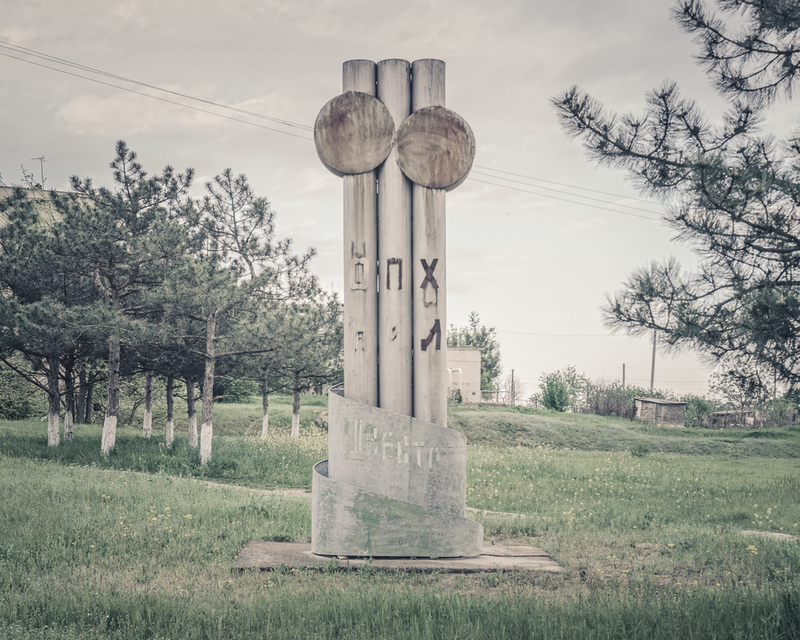 Ghost state, Transnistria, 4200 km2 and 500 000 inhabitants, has acquired the attributes of a state: it has its own currency (the Transnistrian ruble), its anthem, a Supreme Soviet, a flag with a hammer and sickle. 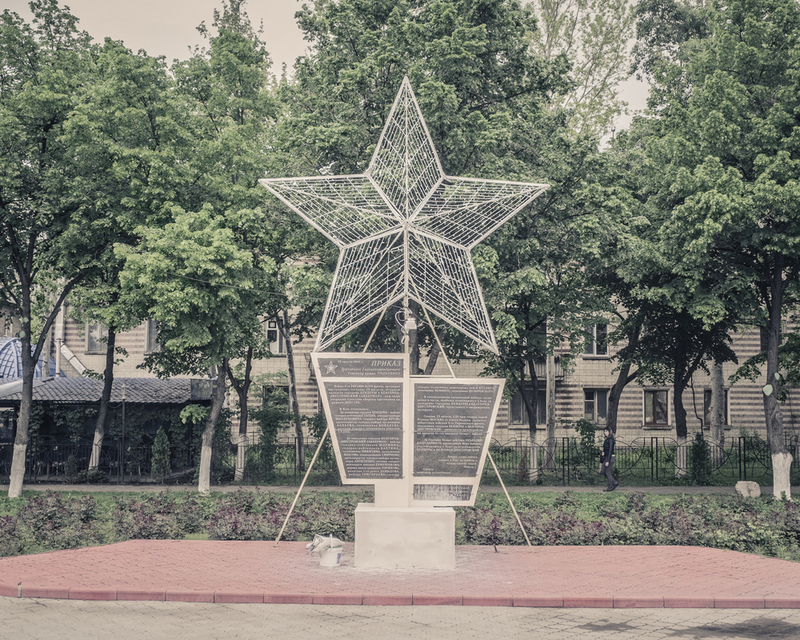 The region is entirely focused on Russia, which it has served for two centuries. 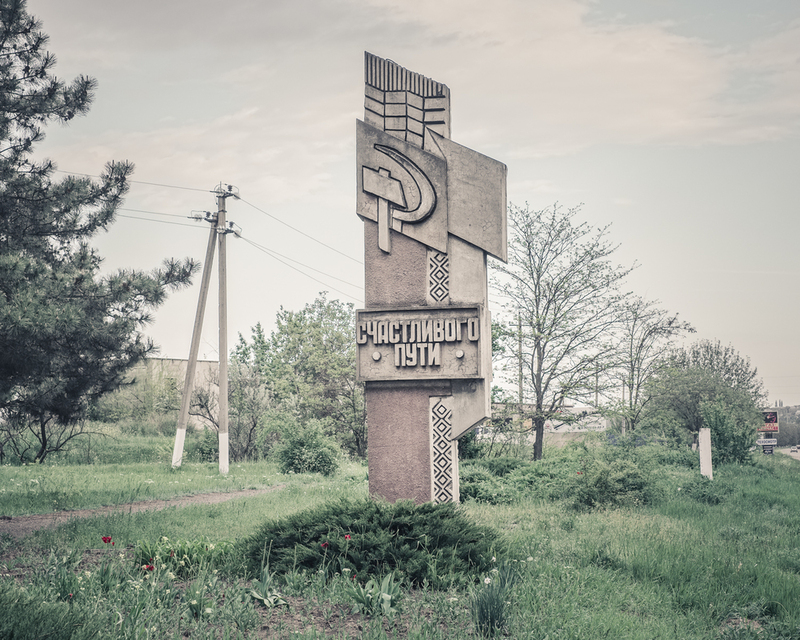 This tiny territory, trapped between Moldova and Ukraine, has an incredible amount of Soviet monuments that are still perfectly maintained for the most part over 20 years after the fall of the USSR. 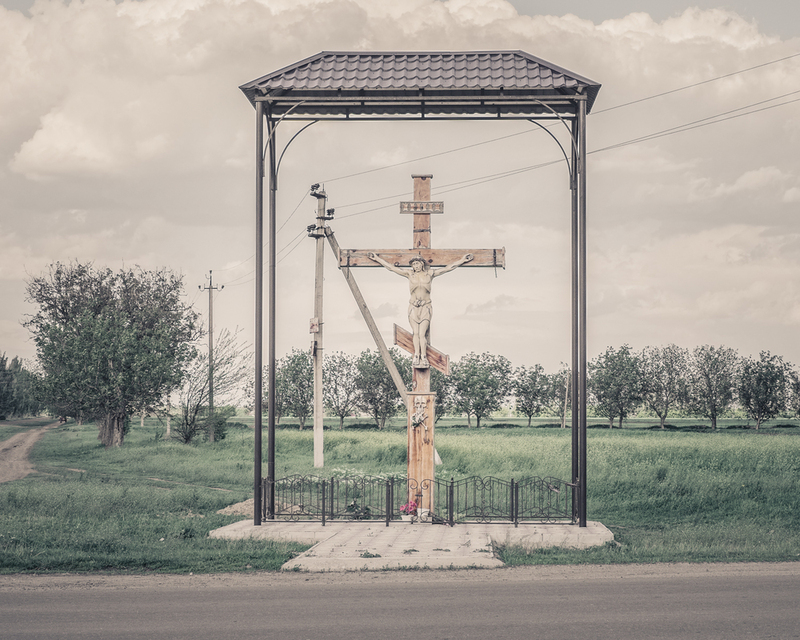 Here, nothing was destroyed or taken apart. 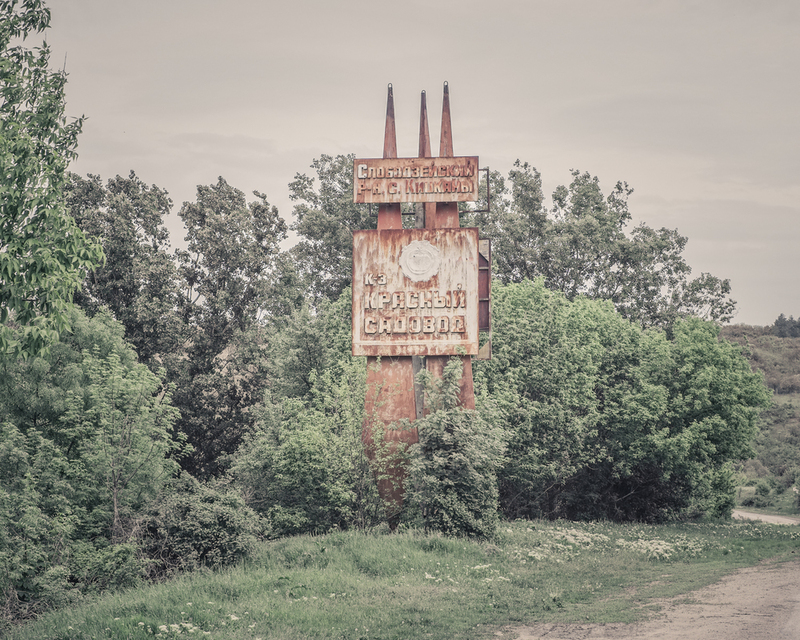 The communist system has since long disappeared giving way to an unbridled market economy to the delight of a few hundred oligarchs ... 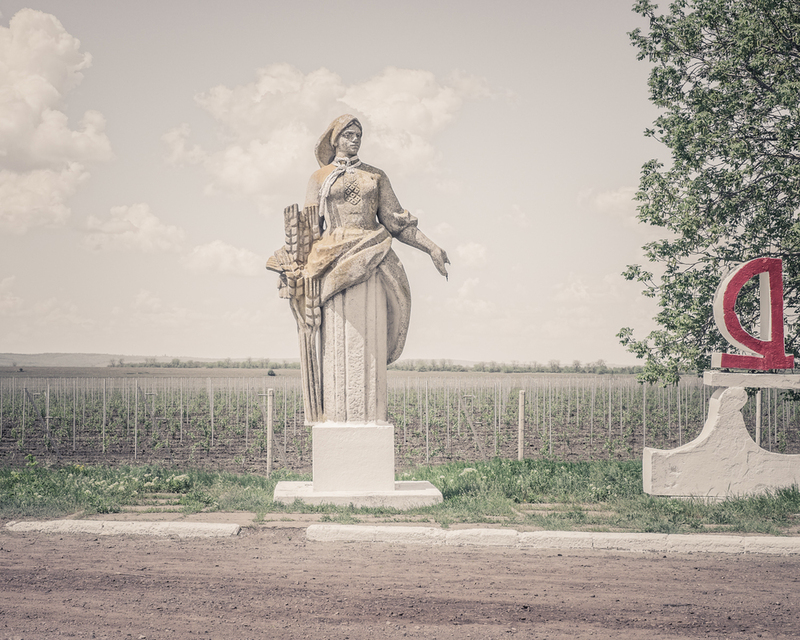 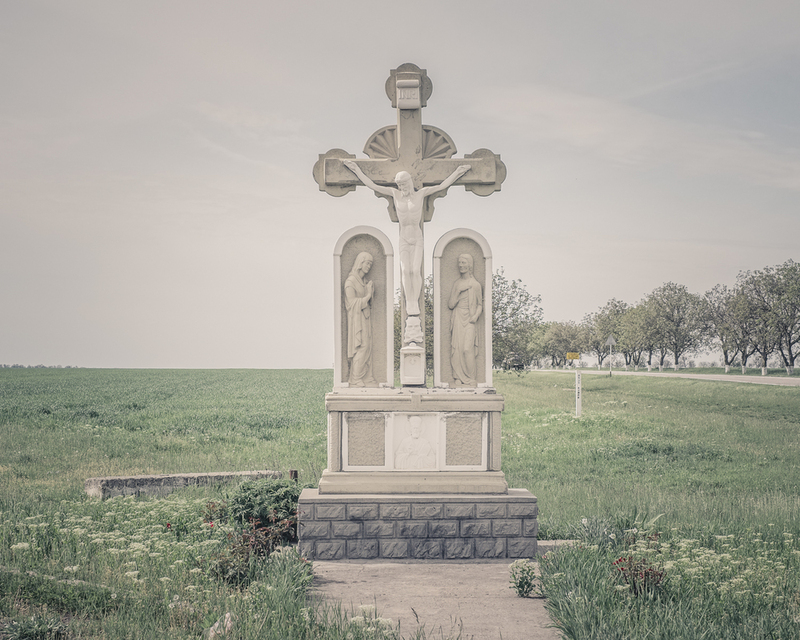 But these old monuments installed on the roadside and the village squares, are more meaningful than ever to the local population: they belong to that great Russian power from the Soviet era. 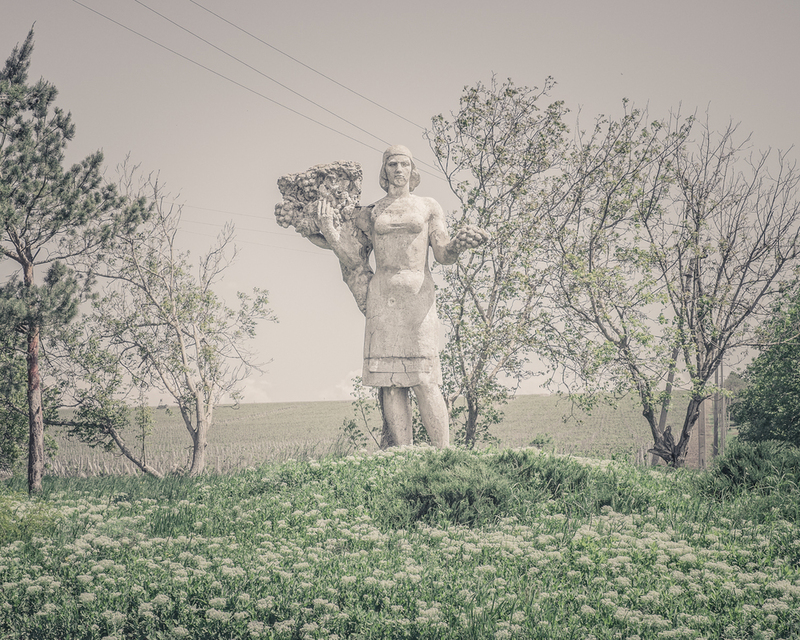 A kind of surprising visual syncretism has developed, particular to this region. 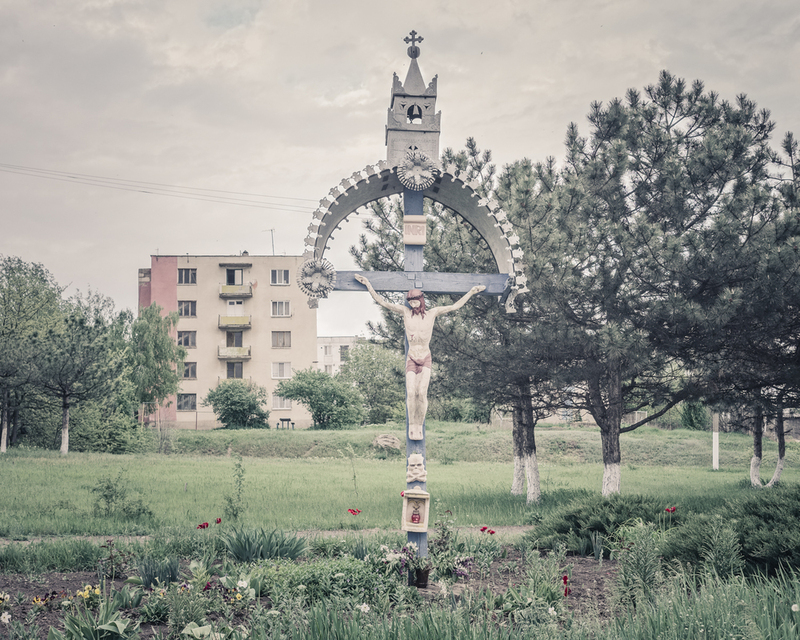 Thousands of Orthodox crosses have joined the communist monuments over the past 20 years. 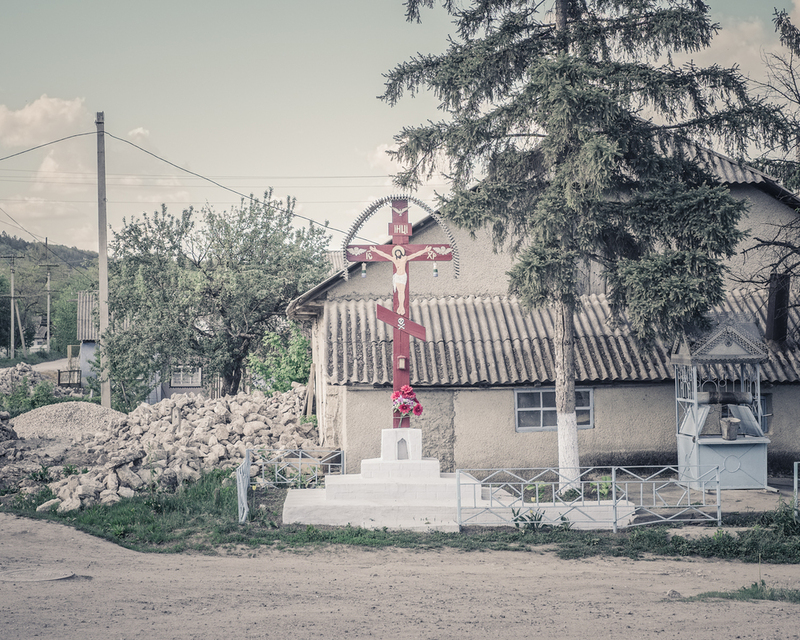 Religious symbols linked to the rebirth of Christianity in the region. 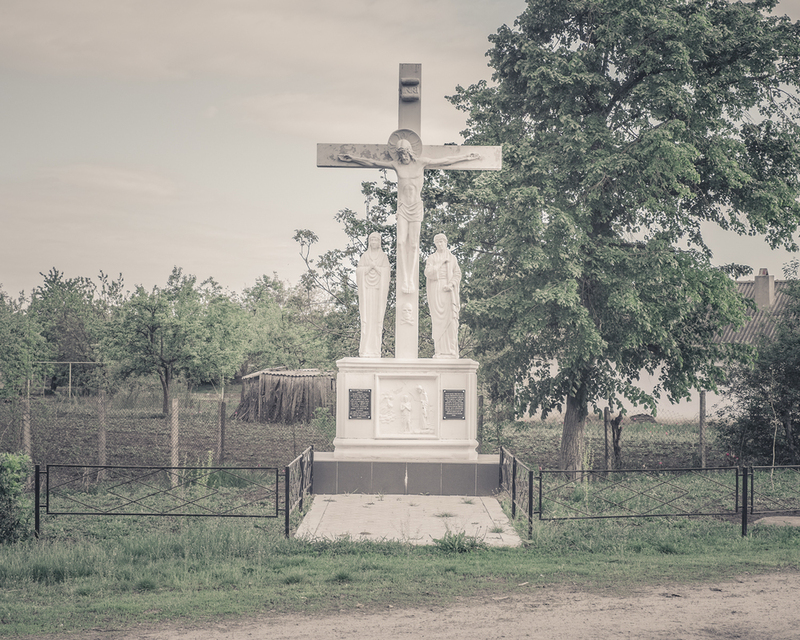 Political symbols as well, of the strong bond with the Moscow patriarchate and of the fact that Transnistria was and should be part of the great imperial Russia.